As some of you may know, I use occasionally use pole photography for my research. Getting the camera on the pole is the easy part (Pole Camera), the hard part is getting it to take pictures while it's up there. I use almost entirely Canon cameras and CHDK is such a wonderful add-on to the smaller cameras I use. 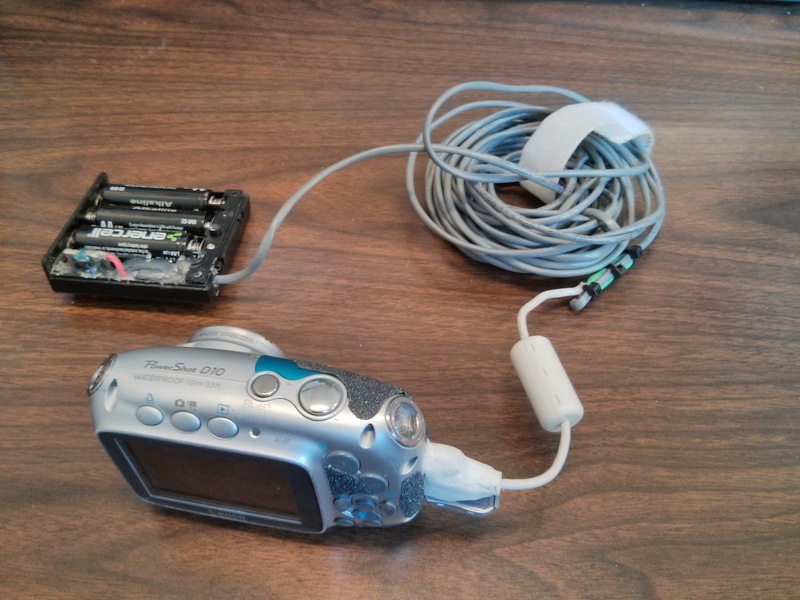 One key thing CHDK allows you to do is use the USB port on the camera to trigger the camera. This post is a rehash of the basic remote trigger that CHDK has on their site (http://chdk.wikia.com/wiki/USB_Remote), but I thought I'd post my design if you're interested in building your own.